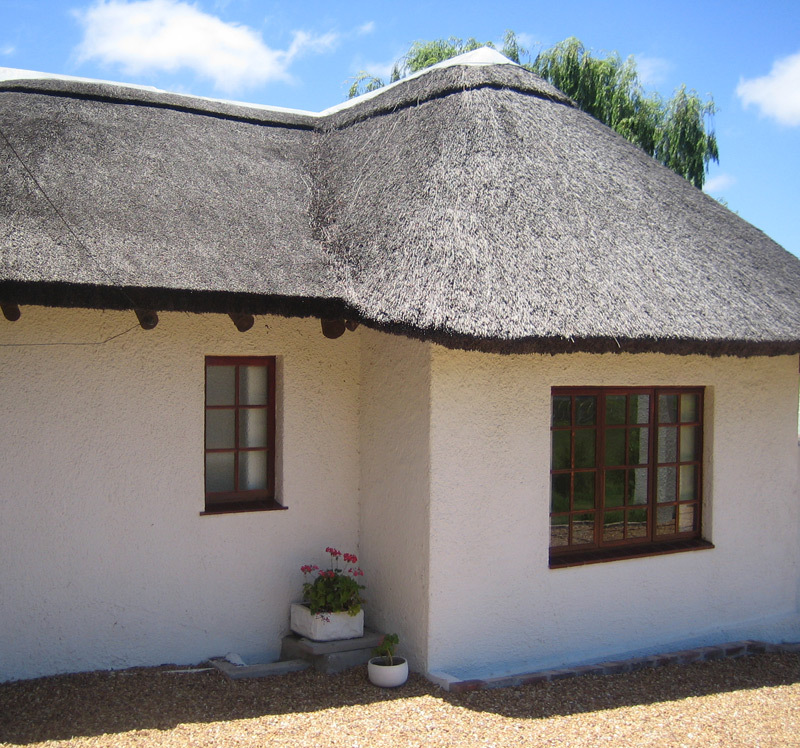 Unwind in the Winelands in beautiful, fully serviced, thatched cottages. 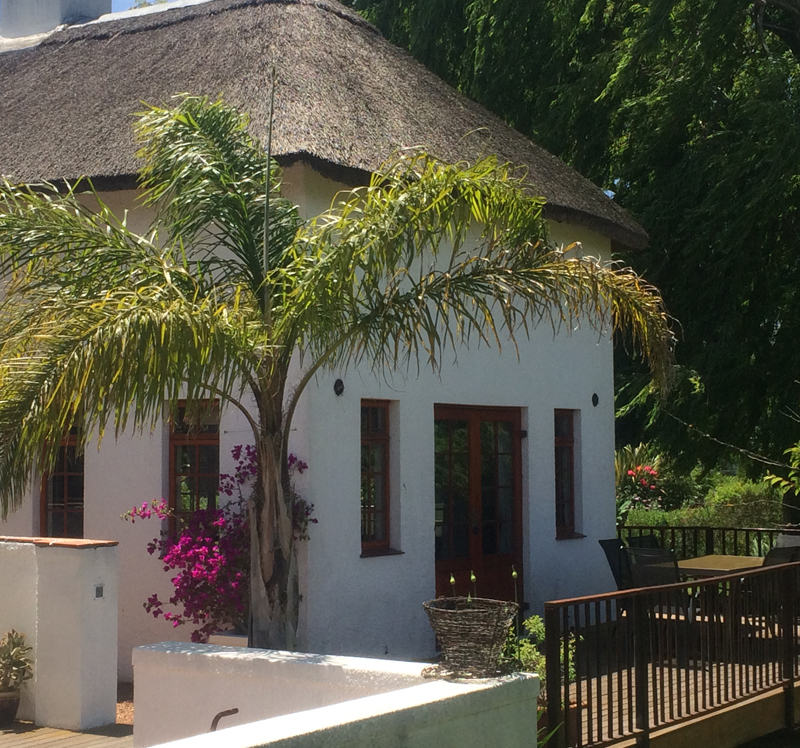 Situated on Winery Road, between Stellenbosch and Somerset West, Acara is nestled in a valley called "Happy Vale" amidst the scenic South African vineyards and has beautiful views of the Helderberg Mountains. There are 4 exclusive units - Acara can sleep up to 12 people. Peaceful and quiet, all rooms have heating/cooling, high speed, wireless internet and ipod facilities. All are offered on a self catering basis - they are fully equipped, but a hamper breakfast can be arranged on special request. We are in a fantastic location for visiting the entire area. Stellenbosch is 10minutes (13kms), Cape Town International airport 20mins, V&A Waterfront Cape Town 30mins. The nearest beach is 7mins, Hermanus 40mins and Franschhoek also 40 minutes drive away. There is an award-winning restaurant almost opposite us - a short walk of about 400m: 96 Winery Road. Other restaurants close-by: Avontuur Estate, The Lord Charles Hotel, Cavalli Estate, Longridge Restaurant. Other restaurants in the area are plentiful. We can provide you with many recommendations! Fiona offers exceptional hospitality and can give many suggestions on day trips, restaurants and things to do in the region. A great base to explore the area, or to simply relax. All have double doors leading to their own terrace or deck area. 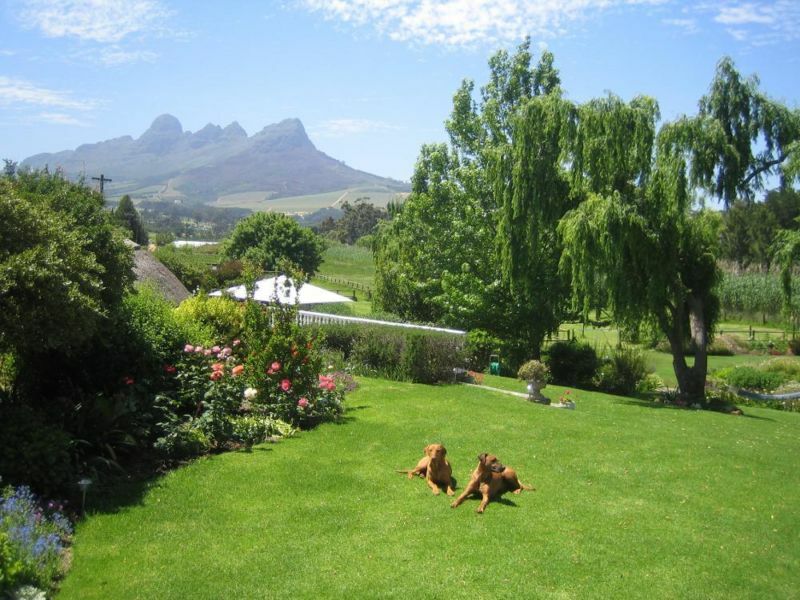 All have beautiful views to the sparkling swimming pool, large gardens and paddocks, and of course to the mountains beyond. Relax and enjoy! . 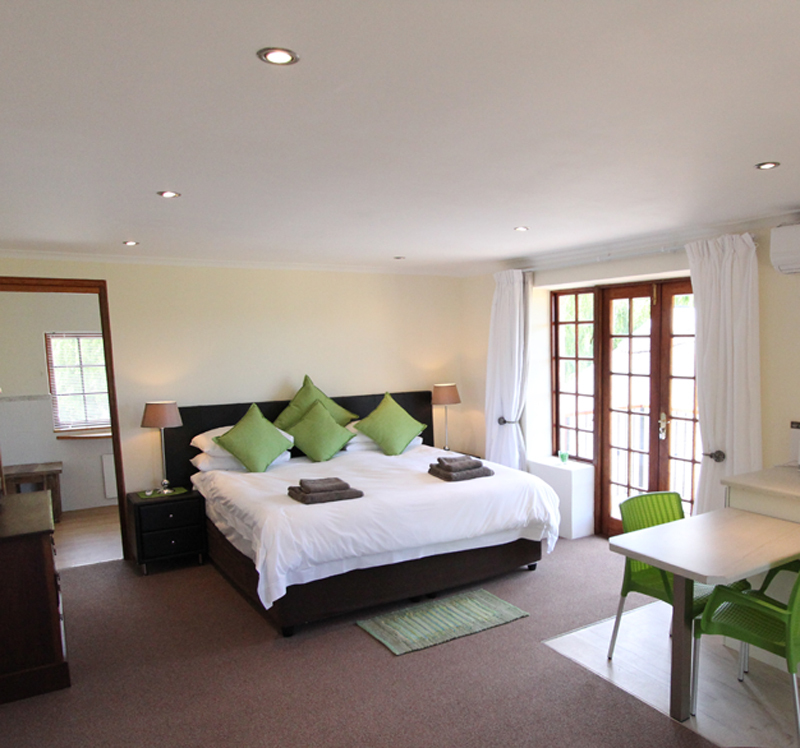 The Balcony room has a King bed (extra length), fully equipped kitchenette and bathroom with shower and bath. There is also a flat-screen tv, dvd player, wifi and an airco unit (which also heats). The bathroom also has a heated towel rail for those cooler days/evenings. The bedroom has double doors opening out onto your own balcony, with views to the paddocks nextdoor, which often have African Nguni cattle. Your entrance balcony also has similar views. 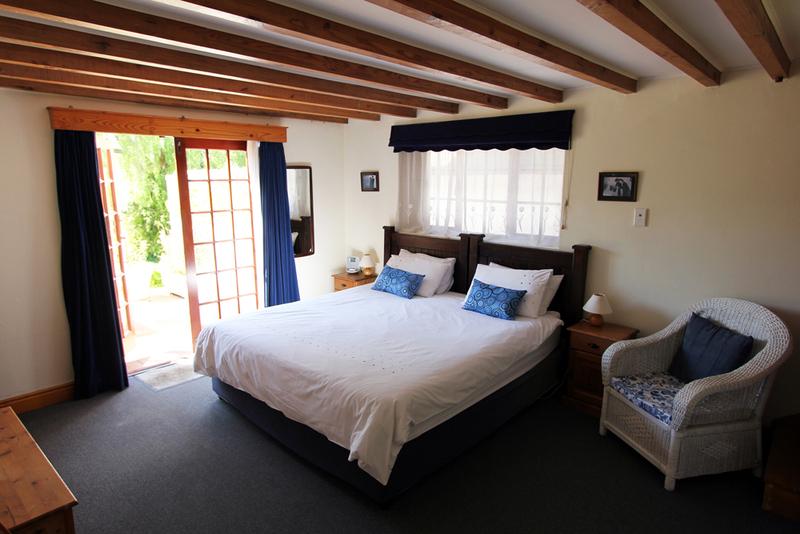 The Jacaranda suite has a King bed (extra length), fully equipped kitchenette and bathroom with shower. There is also a large flat-screen television, wireless internet and an airco unit. Under-floor heating throughout the suite will keep you warm during cooler evenings, and the bathroom also has a heated towel rail. The bedroom has double doors opening out onto your own terrace, with views to the beautiful gardens and (solar heated, saltwater) pool. 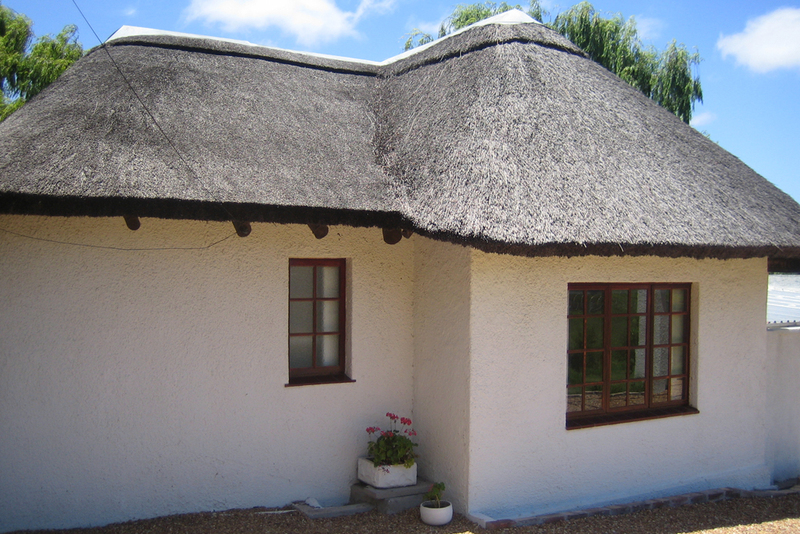 Lavender Cottage is a renovated, old farm-labourers cottage with thick, cool walls. There are 2 bedrooms - one Queen and one twin. The fully equipped kitchen has an oven, fridge, freezer and microwave/grill. The modern, tiled bathroom has a shower. 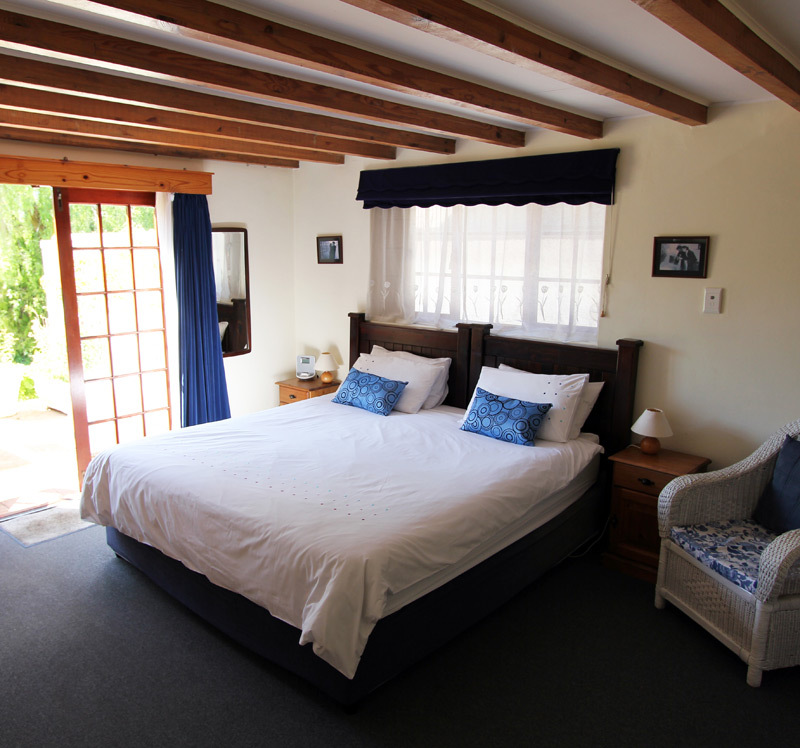 There is an open fireplace, an airconditioning & heater unit in the main bedroom and a ceiling fan in the twin room. Both the sitting room and the main bedroom have double doors opening to the terrace. 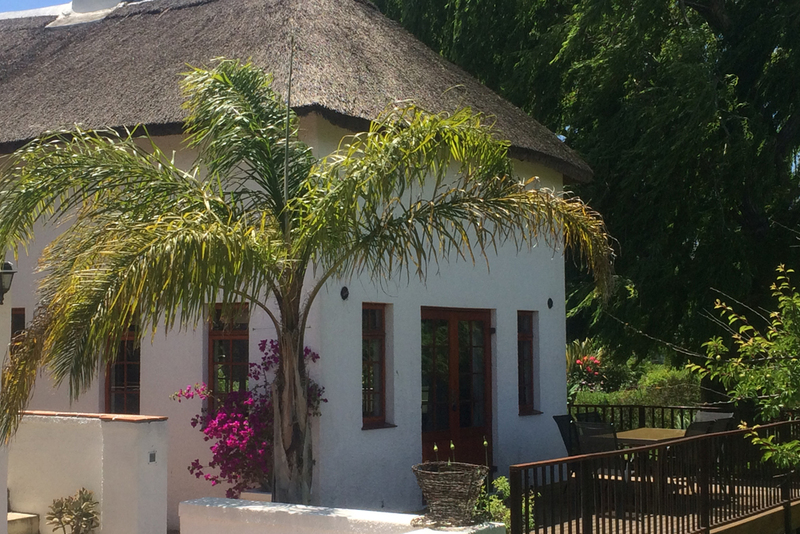 WillowTree Cottage has a King bedroom (extra length bed), a twin bedroom upstairs (both with luxury ensuite bathrooms and airco/heating units), fully equipped kitchen and double volume lounge area with a wood burning stove and flatscreen TV, DVD/CD player and wifi. You also have your own large deck and garden area, with views to the (solar heated, saltwater) pool, large beautiful gardens and paddocks and of course to the mountains beyond. 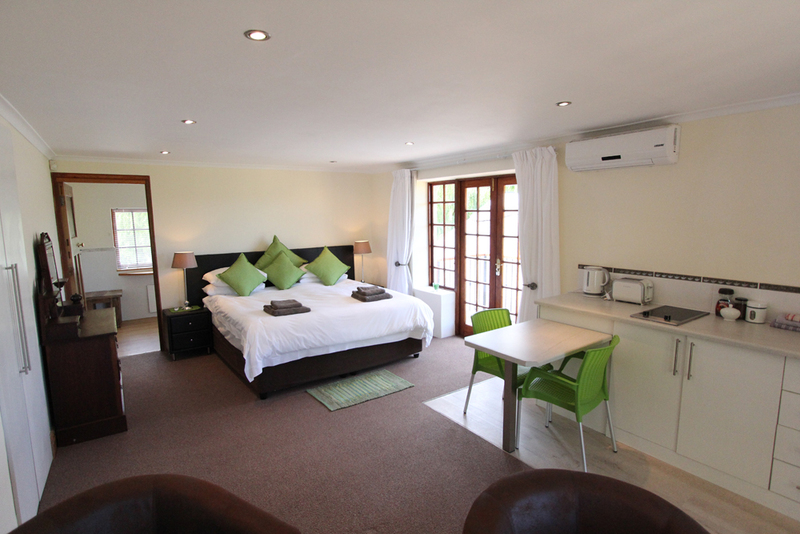 We have DVD/CD players available and all rooms, the pool area and most of the garden has wifi. The sparkling saltwater pool is solar heated. 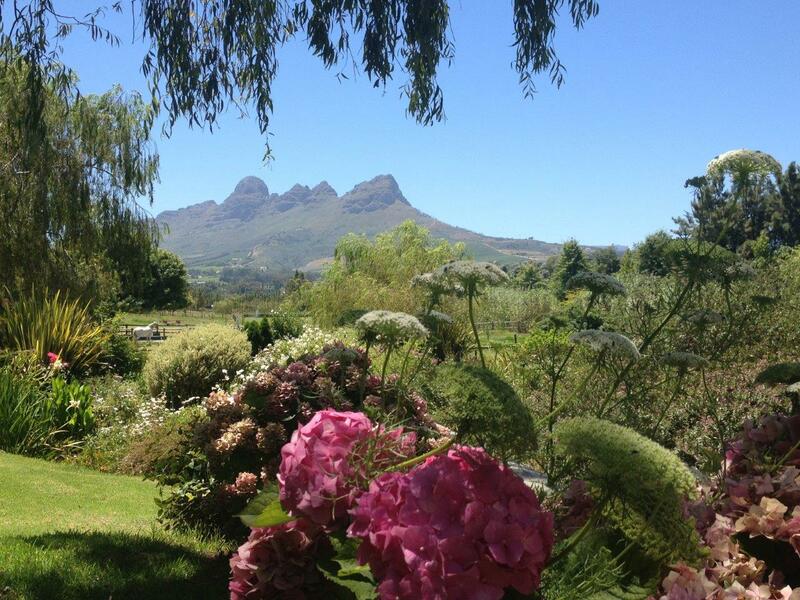 There are large beautiful gardens, paddocks and of course wonderful mountains views. All rooms are normally offered on a self catering basis, but a luxury hamper breakfast can be arranged on prior request - please just ask. You can check rates and availability, as well as make your booking, online. If you'd like to book directly or have any questions, please call or email us! All rates are in South African Rands. Acara reserves the right to admit any guest/s and furthermore retains the right to remove any guest/s whose behaviour impacts negatively on other guests and / or staff. 50% non-refundable deposit will be required to confirm a booking. The remaining balance is to be paid prior to the stay - or when checking-in. The garden here at Acara is a labour of love! We are constantly developing and growing our garden - with everything from indigenous species to the rare and unknown! If you are a keen gardener you will enjoy our garden. At the last count we had over 100 different roses growing in the garden. We are keen to make the most of the views, the tranquility and the birdlife here. There are a variety of places to stop, to sit, and to relax. From the cool stone seat underneath the tree in our vegetable patch, to the rose-covered pergola or simply on the grass or in the hammock underneath our willows. The gardens have already been featured in a few international magazines. The birdlife is amazing - weavers, fish eagles and 2 resident spotted eagle owls can often be seen. There are also walks through our paddocks and across the streams. There are beautiful mountain views from almost everywhere in the garden. We invite you to share them! More information about the garden, and which plants are of interest throughout the year can be seen at the bottom of the page - under 'articles'. Beauty and Tranquility - the best of the best. And ideally located for visiting vineyards, restaurants and the beach. It really is a GORGEOUS place to call home! Fiona was so helpful from start to finish. Acara is by far the best place we have stayed in terms of views, facilities, the welcome and exceptional gardens. 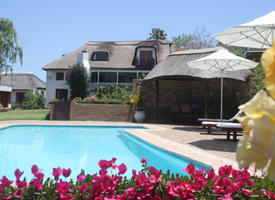 Acara is one of the only places in the Cape where we find the pool is warm enough to use! Take exit 43 off the N2 (Somerset West). Follow the R44 (towards Stellenbosch) for 5.8km. Turn left onto Winery Road (also signposted Firgrove). (Or simply search for "Acara" on googlemaps). Our garden is open for pre-arranged visits from clubs and organisations, and provides year round interest.